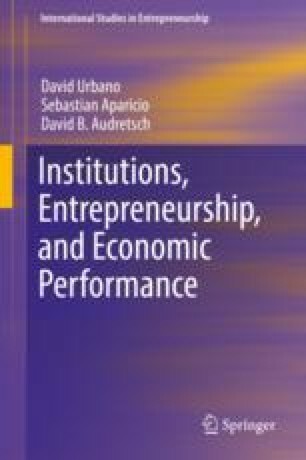 The main purpose of this chapter is to examine how country’s institutional context influences the way in which entrepreneurial activity affects social progress. Following the theoretical approach of institutional economics, we test our hypotheses using pooled data of 62 countries (2012 and 2014) and simultaneous equation model estimation. The findings suggest that business regulations decrease entrepreneurial activity, while established democracies provide as government context conducive to entrepreneurship. In addition, we find that the entrepreneurial activity has a positive impact on the Social Progress Index, which is an alternative measure of economic performance. Policy and theoretical implications are discussed from these findings.